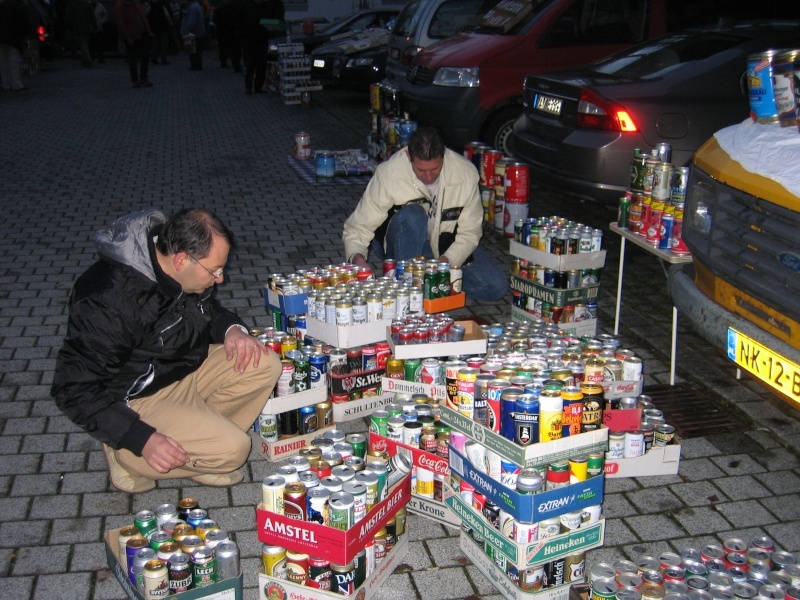 As usual most cans collectors were busy trading on Friday early afternoon ! 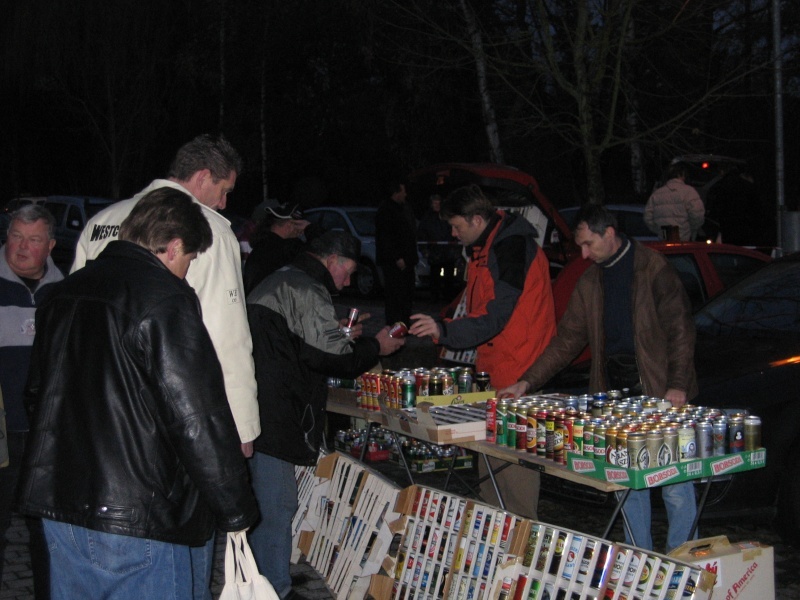 many "home" collectors from Germany , collectors from Holland (René Enthoven , Franz Broekhuizen , Klasines Nijmeijer , Jan van Kampen and his father) , Hungary (Csaba Elekes , Lazslo Toth , Rudolf Harza , Gabor Csider) , Ialy (Mirco Busi , Celso Zanati , Mauro Morina , Fabrizio Mugnaini , Riccardo Santo , Claudio Norfini , Enrico Burali , Marcello Matsrodicasa and some others ?) , Czech Republic (Igor Nespurek , Martin Michl and some others) , France (Gilles Doat) , Switzerland and Belgium (Etienne Morsa , Sylvain Ichx , Alain Houbrechts and myself). 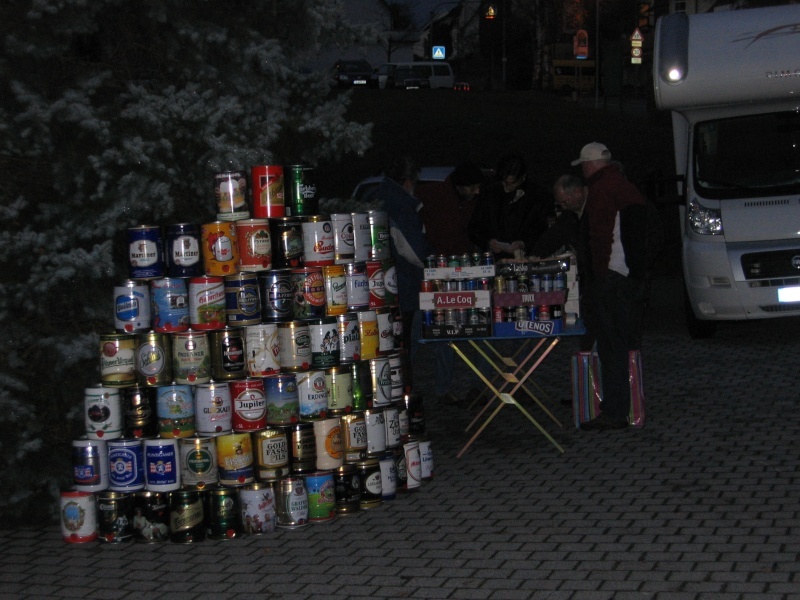 Valentinas from Lithuania joined in the second part of the non-stop rainy afternoon with lot of cans from former Soviet Union republics and some very nice alu bottles from Georgia (Kazbegi). 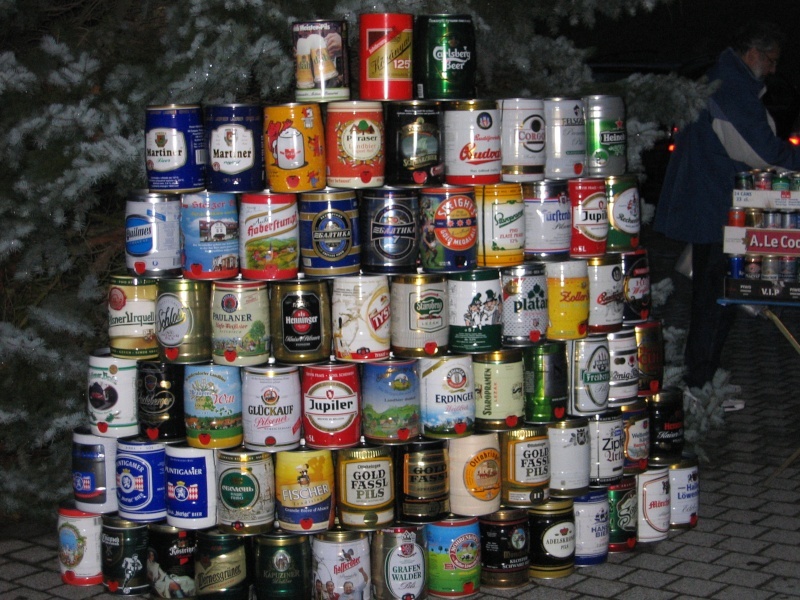 Kegs are more and more popular as well as aluminium bottles ! Around 05:00 PM it was dark and everybody came back to his hotel. 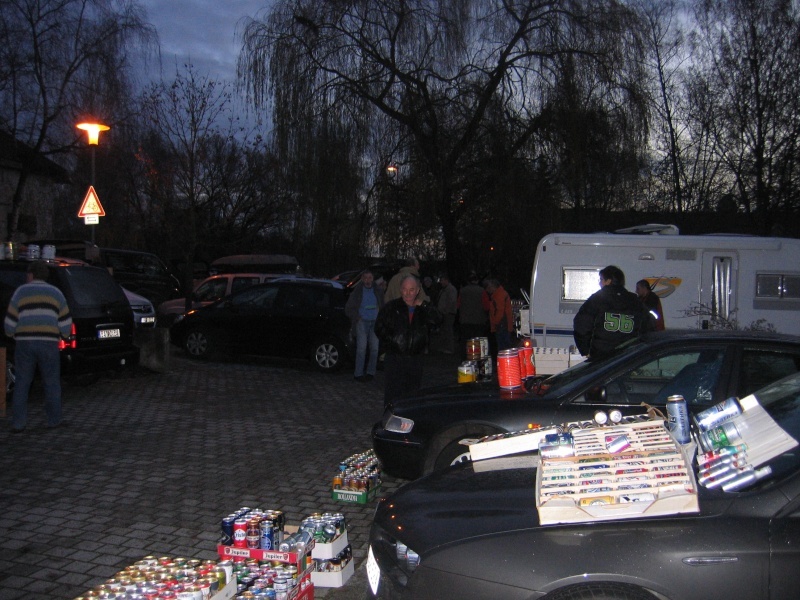 Saturday (early) morning , crowded parking lot with more collectors from Germany (Markus Klenk , Wolfgang Dohmen, Chris Neunzig , ...) , Czech republic (Vaclav Soukup , Zdenek Sekava , Petr Stetka) , Italy (Bruno Bazzuro , Sandro Merlano , Maurizio Pion) , France (Christian Bernaud) , Holland (Enrico Ringalda) , Poland. Some breweriana collectors brought cans too and many kegs that sold very quickly. 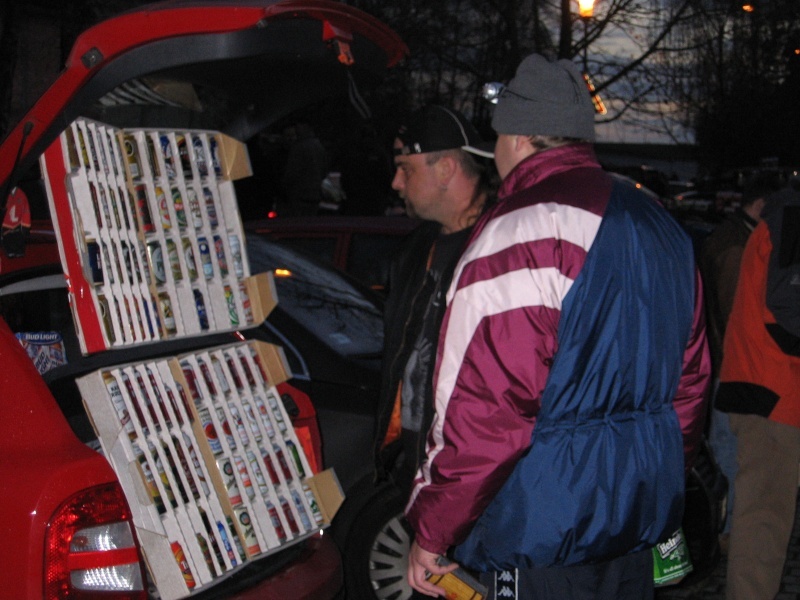 Fortunately Saturday was dry (but cold) and outside trading was enjoyable. Pity that some buddies were not attending (Phil from Austria ... where are you ? , Rob Barrow from England , K Olha from Poland , Norbert Walter from Germany ..... all familiar faces and well-known collectors). See you in Hamm 2008 ! please feel free to mention you were attending and to post your pictures ! Jan's father in the center .... a happy man ! Gabor and Rudolf's table ... the Hungarian connection ! a wall of kegs ! Zdenek waiting for another trade ? Please post your pictures too !